Geek Grotto - Get Your Geek On! Just as everyone is getting swept away with CES news, Koei Tecmo snuck in some news today as well. DOA6 has been pushed back to March 1st to "further polish" the game. Not sure how much 2 weeks will give them as they would need to start pressing discs soon. I guess we can expect a Day 1 patch for sure. Improve Wired Headphone Audio From A Nintendo Switch? Like most people this time of year, I've been traveling to visit family. Also like most, a set of headphones is a must for long plane rides. My current phone is the Razer Phone, which also means carrying Razer's USB-C dongle which contains a 24 bit THX certified DAC. Sure, that may not mean much since Razer owns THX, but keep reading. As of firmware 5.0, the Nintendo Switch could pass audio via its USB-C port. Most people have used this for wireless USB headsets. Now what happens when you're aren't paying attention and just plug your headphones with dongle attached to the Switch's USB-C port? Pure audio bliss, that's what. Deeper, more vibrant audio. I just tried with Ys VIII and the recently released R-type and wow. Switching between the Razer dongle and the Switch's headphone jack was night and day. If you use a wired headset, even a cheap set, this will most definitely improve your audio quality. If interested, the dongle can be found here for $19.99 plus shipping. New Samurai Spirits/Samurai Shodown Game Announced! Announced overnight, Samurai Shodown will return next year on the Playstation 4. Powered by the same engine that is powering almost every major fighter as of late, Unreal, the game is looking great. Personally, I feel that they should have gone with a style similar to Guilty Gear Xrd, but happy regardless. Seems like SNK is returning to what made them great, fighters. With KOF out for a bit now and last week's SNK heroines ~Tag Team Frenzy~, here's to hoping we get more. This February, get ready to enter the ring with the latest version of DOA. After what felt like a few year's worth of non-stop costume DLC for DOA5, DOA6 will finally grace PS4, Xbox One and PCs. When most people think SNK, the 1st thing that comes to mind is the Neo Geo, but SNK has a long history that predates the Neo. The SNK 40th Anniversary Collection is bundling many of SNK's arcade classics into a single purchase on November 13th on the Switch. While many of you may not know of many of the games, if you are into The King of Fighters series, then you may recognize quite of few characters as they originated here. Shenmue 1 + 2 Launches August 21! The Dreamcast classics return this August as Sega will release both Shenmue 1 and 2 across various platforms ahead of Shenmue 3's release! This time, the Xbox One, PS4 and PC will play host to these gems. These 2 games should be enough to keep players busy, along with everything else releasing over the next few months, to keep you 100% busy until the release of the 3rd title. 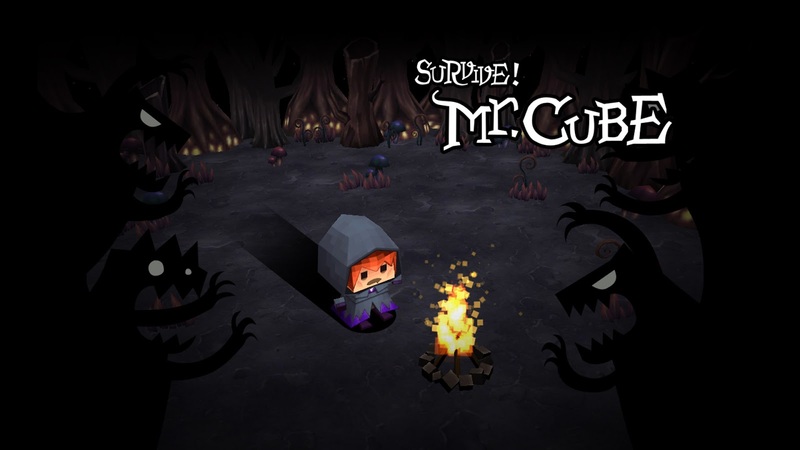 What happens when you drop a Minecraft-like character into a rougelike survival game? You end up frustrated beyond belief.... I mean you end up with the adorably hard Survive! 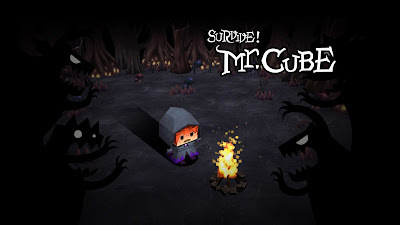 Mr. Cube. The same game just released recently on the PS4. Intragames promises the same visuals across both games, so your many deaths should look just the same on the Switch in TV and portable modes as it does on the PS4. 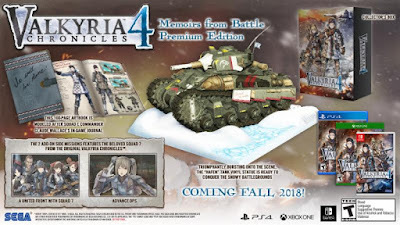 Valkyria Chronicles finally has a US and UK release date! On September 25, you will be able to pick up the game on the PlayStation 4, Xbox One, Nintendo Switch and on PC! Even better? There is a "Memoirs from Battle" edition that includes a replica tank!! Fans of crazy rhythm games have a reason to rejoice. 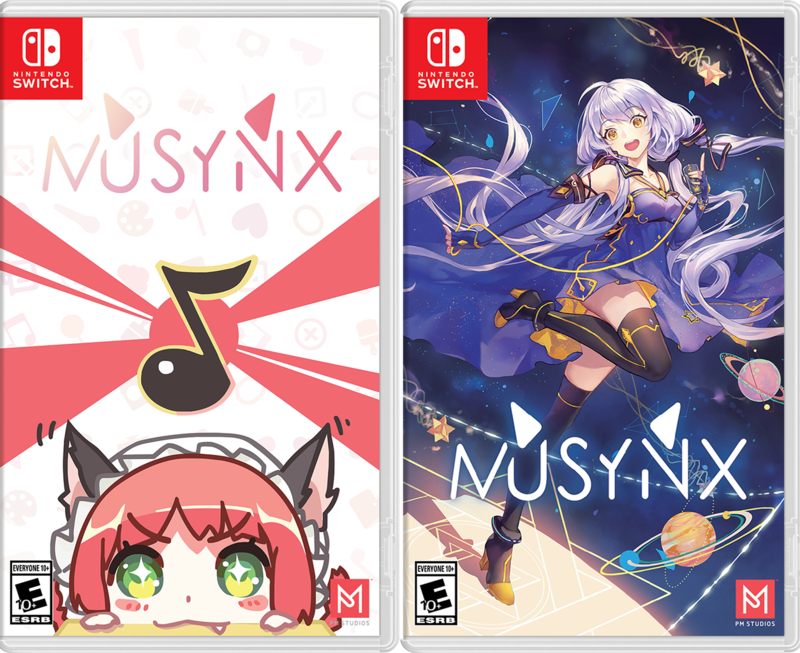 Today, PM Studios and acttil have released MUSYNX in the US on the Nintendo Switch and both standard and limited editions. Fans of digital downloads don't fret though, it'll be out digitally on the 21st on Switch, PS$ and Vita! Prepare to kiss your thumbs goodbye! Update: Limited Run Games will be handling the PS4 and Vita physical releases. You have from June 22 until July 6 to get your orders in from them. As everything from Limited Run Games, there will be 1 pressing and that's it. At Sony's E3 press conference, Capcom dropped a little treat. 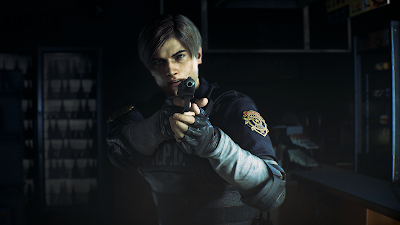 On January 25, 2019, Resident Evil returns in a BIG way. Using Capcom's RE Engine, this remake seems to be the definitive version of the fan favorite title. Even better, the title will be released on Playstation 4, Xbox One AND PC.